A very round and strong cognac, in the mouth persistant, nuts, spices and a good deal of rancio. Without box. Contains 5 x 20cl bottles of Delamain Cognac - all from the Grande Champagne terroir, well-aged and of superb quality. Each expresses rancio, and is exceptionally mellow, fruity, and aromatic. 1625 was the year that Nicolas Delamain escaped France's Protestant reign to England, where he would soon be knighted by Charles I to receive the coat of arms, which until this day adorns the trademark of the Delamain company, 3 bloody crosses. Nicholas was appointed to Ireland and for generations to follow, the Delamain lineage was continued: by Nicholas himself, Henry I, Henry II and Henry III. This is where things get a little complicated, but the last Henry brother, William, had a son called James. It was he who would return to France in 1759 at the age of 21. He traveled to Jarnac in Charente, where he joined the cognac trader Issac Ranson, whose trade can be traced back to the very early beginnings of cognac production. James was responsible to see to the Irish market via his family network and when he finally married Ranson's daughter Marie in 1762 he became a partner in the company, which was then named Ranson & Delamain. Throughout the 18th century, Ranson & Delamain became one of the leading cognac houses, starting to strongly force export trade towards the end of the century - this was before the French Revolution hit the Cognac industry. Adding to this difficult economic time, brought about by the Napoleonic Wars and the Continental trade blockage, James also had a very difficult relationship with his son Jacques. When James dies in 1800, the French inheritance law resulted in a complete division of the company into seven parts, because he had seven children. It took 20 years and many failed attempts to reassemble the cognac house. James's grandson Anne-Philippe Delamain brought the company back together with two of his cousins from the Roullet family. Hence, the name of the cognac house changed again, this time to Roullet & Delamain. Again, the business was handed down through generations until in 1920 Jacques and Robert Delamain, the then owners of the cognac house bought out Roullet's shares and the firm finally became Delamain & Co. In that same year they baptized their cognac classics "Pale & Dry" and "Tres Belle Grande Champagne". In 1953, the following Delamain Cognac was introduced by Jacques's son Jean, namely "Grande Champagne Vesper". And in 1976, continuing the complex family network, Jean's niece's husband Noel Sauzey came up with the next cognac "Tres Venerable Grande Champagne". After this short intersection of a different family name (!) the company direction was taken over by Alain Braastad-Delamain, the grandson of Robert, and is the managing director of the house until this day. Today, Delamain is one of the last family-run cognac houses that exist, especially one with such a old tradition. It is run by the two Delamain descendants and cousins Charles Braastad and Patrick Peyrelongue, who surveil production under the strictest regulations in order to create the most exquisite product. The selectivity when it comes to the growers and distillers that Delamain frequents to produce their cognac is extreme. Every purchase gets tested by several people, including of course the cellarmaster Dominique Touteau. Of around 400 samples received each year from various producers in the Charente, one 10% get selected. Delamain is perhaps the most traditional cognac house around these days, counting solely on exclusivity and a certain aristocratic savoir-vivre. 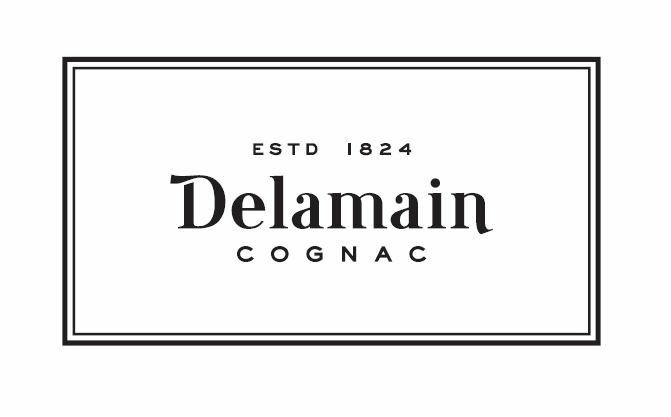 Detail lies at the heart of Delamain Cognac. Believe it or not, but before being boxed, every bottle is actually rinsed with cognac, then hand-fitted with labels, wax seals of the finest quality, and inspected for its clarity and colour. Robert Delamain, also an distinguished archaeologist and author, wrote the still definitive work on Cognac "Histoire du Cognac" published in 1935. Delamain offer visits to the estate and the cellars, but only upon appointment. Please contact the cognac house to arrange your visit. I know Delamain produces XO and above nowadays, but, I saw old Delamain Napoleon in two types of labels at least, in miniature and standard 700ml bottles. My question is, is it worthy to buy one of those old Delamain Napoleon at Pale&Dry XO price? There is one available as I know. I have a 3″ tall 1 3/4″ round brass Delamain ink well with a 11 1/2 inch brass feather refillable pen and was wondering what it’s value is . I think the “well” is brass covered but don’t know what it is covering.